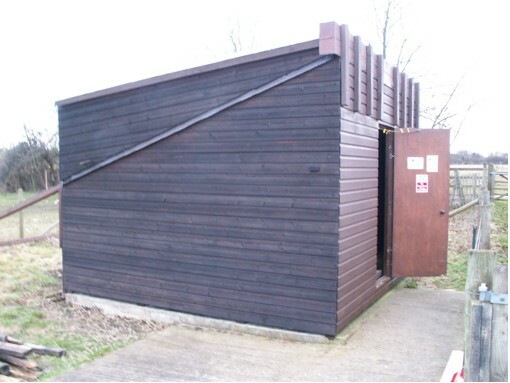 The LDAS observatory was built by members of the Society, and originally housed a 10″ Newtonian telescope. It was installed in 1996, and was very reliable. 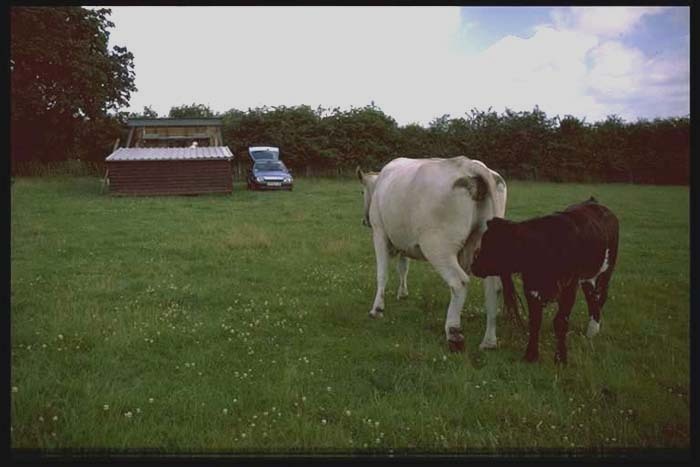 The observatory is situated on the local corporation farm, Standalone Farm, by their kind permission. Whilst not an ideal site (from the point of view of light pollution), it is nevertheless much darker than the surrounding towns, and the Milky Way stands out brightly on a clear night. In addition, there is plenty of parking space, not just for our own observing sessions, but also for our Public Star Parties. Funding was obtained from both within the society – from donations and fund raising events – as well as a generous donation from the Letchworth Garden City Heritage Foundation, and the local council. All work except legal matters was done in-house to keep the costs down. This meant several months of long weekends down on the farm, digging holes, laying concrete, building the frame, and then carrying it from the farm barn (at the bottom of a muddy hill), to the observatory site (at the top). 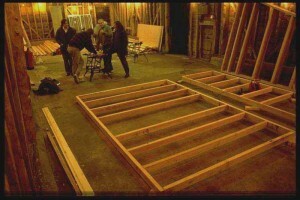 Then erecting it, and putting on the side frames, and eventually the roof. The run-off roof is counter-balanced by two tons(!) of lead shot via the guide wires seen in the pictures. 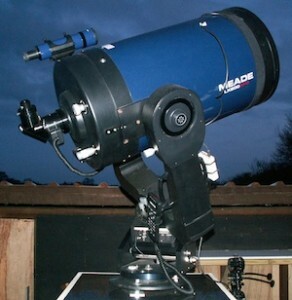 In 2010 we upgraded the main telescope, replacing it with a computerised Meade 14-inch LX200 Schmidt-Cassegrain reflector. 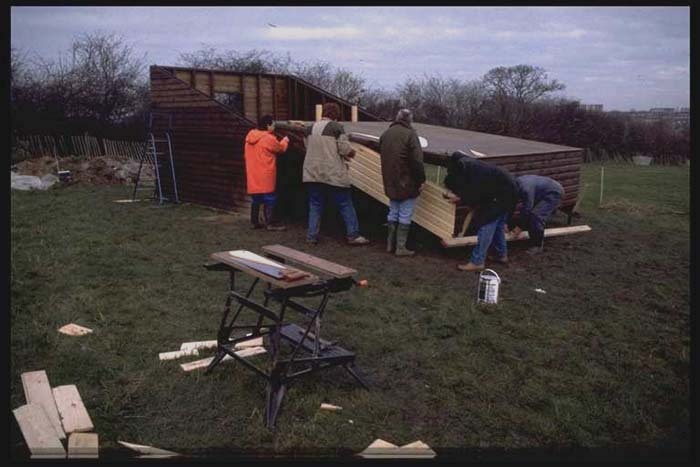 This was possible through a grant from the Heritage Foundation and one from the local County Councillor, Terry Hone. One drawback to the location – around 500 feet from the nearest buildings – is the lack of power. 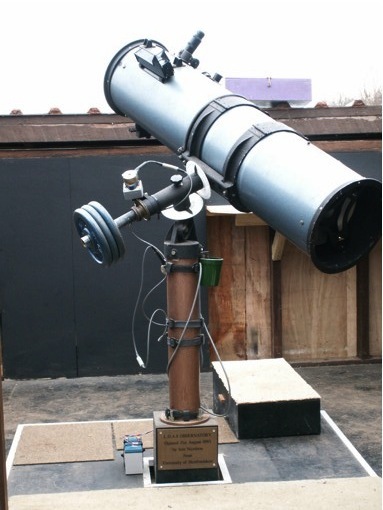 At present the telescope is run from a 12v battery which needs periodic recharging. In view of this, and the desire to run other equipment, including additional telescopes, laptops, lighting, etc., we are looking at implementing an improved power system which will include a generator, allowing us to have mains power and the ability to charge the batteries on site. We are also planning to add a “warm room” to the observatory, where we will be able to take a feed from the telescope and process images. Click on any of the photos for larger versions. 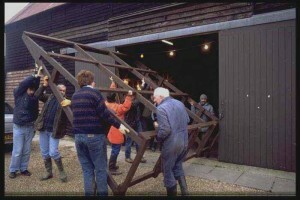 Building the observatory in the barn. 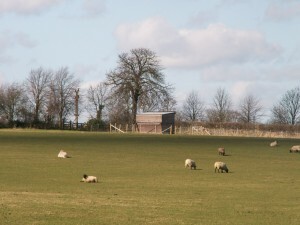 A view of the observatory – with some of the local residents! 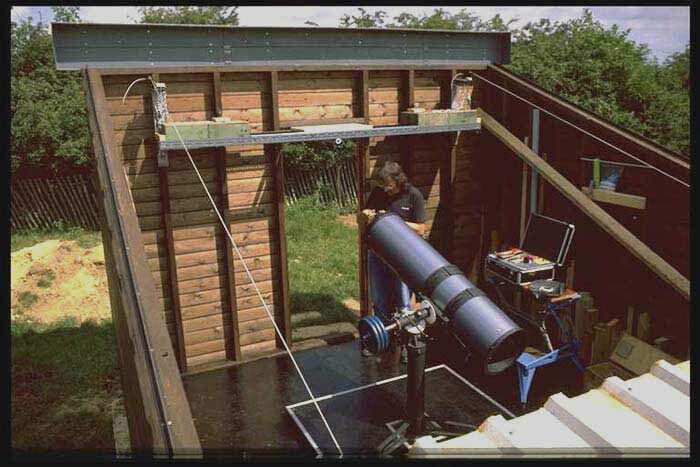 The interior of the observatory, showing the telescope, and the sliding roof arrangement. 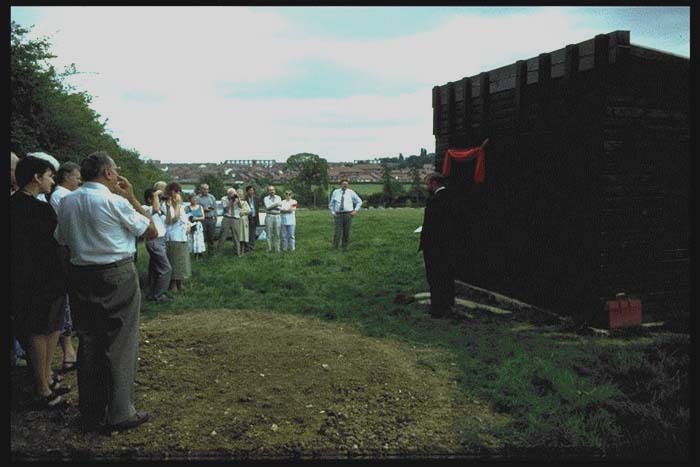 The day of the grand opening by Iain Nicolson, who was our Honorary President. Anyone who has seen the film “The Dish” will appreciate that, like the best observatories, ours is also in a sheep paddock. The observatory after a maintenance session. The main scope from the opening in August 1993 to April 2010 – a 10″ Newtonian. The plaque at the base commemorates the opening of the observatory. Our computerised 14″ Meade LX200 on its equatorial mount installed in the observatory in 2010.